Tenten is one of the main supporting characters of the series. She is a Chūnin-level kunoichi of Konohagakure, a member of Team Guy, and the team-mate of Rock Lee and Neji Hyūga. She's a weapons specialist, using throwing weapons that she keeps stored in specially prepared scrolls. 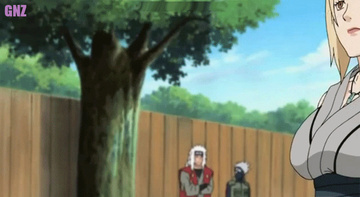 Tenten strongly believes that female ninja can be as strong as male ninja. 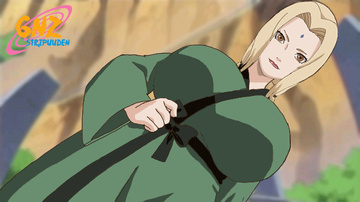 Tenten's personal dream is to become as strong as Tsunade. She can be quite fierce sometimes, especially with Lee, violently shaking him whenever he is left unconscious. Tenten also has shown a strong distaste for weakness or being overly dependent on other people. Despite this, she is not above showing a softer side when it comes to her team-mates. 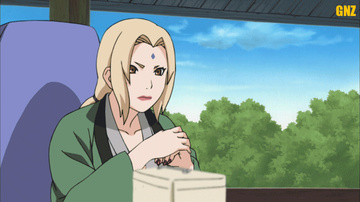 She holds great respect for her team-mate Neji and often helps him train. Tenten also has a naturally inquisitive nature and doesn't like to be kept out of the loop, as seen from her reactions toward Naruto and Lee in the filler arcs.